On weekdays New York City’s commuter trains are all business, shuttling briefcase-toting commuters between Manhattan and the suburbs. But on the weekends, New Yorkers ride the Metro-North Harlem line to a world away from the office. Believe it or not, the train will take you straight to the Appalachian Trail. The unusual train station lies between the towns of Pawling and Wingdale in the northern Harlem Valley. Little more than a platform amid peaceful farm fields beside the tracks, it offers direct access to one of the most celebrated trails in the country. 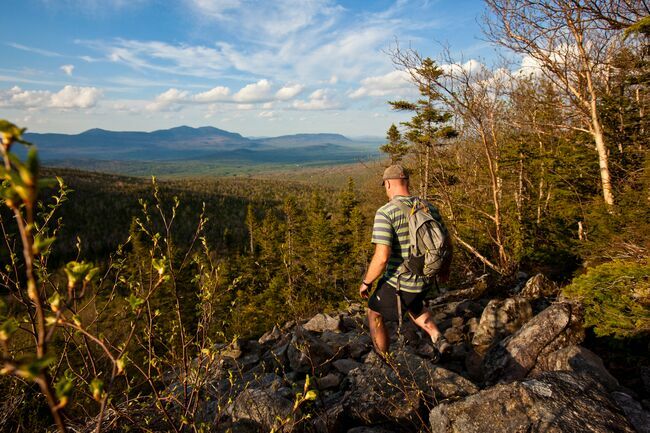 Stretching 2,190 miles from Georgia to Maine, the Appalachian Trail is a coveted prize for "thru-hikers" who travel the entire route end to end. But these hardy souls make up just a fraction of the trail’s users: more than 3 million people use some portion of the A.T. every year for everything from lunch-hour strolls to day hikes and week-long backpacking trips. Tens of millions of people live within an hour’s drive of the trail, but the A.T. stop outside Pawling is the only place you can reach the trail directly by commuter train. New Yorkers make the most of it: on sunny summer weekends, hundreds of hikers hop off the train for a day—or a week—in the woods. Many head for the Cat Rocks, a steep formation with the most prominent A.T. lookout in New York. From the A.T. train stop in Pawling, the steep, three-mile trek to the top rewards hikers with a wide view over the fields and forests of the Hudson Valley. From here, it’s easy to forget you’re just an hour’s train ride from Grand Central Station in the heart of Manhattan. But today, the peaceful experience that draws people to this popular stretch of trail is at risk. Part of the view from the summit of Cat Rocks is private property—owned by a developer with permits to build a 50-unit subdivision. The Trust for Public Land is teaming up with locals who’ve been working for more than a decade to purchase and protect the property, which is known as Corbin Hill. Apart from protecting one of their own favorite local hikes, many Pawling residents are keen to preserve the wilderness experience of the Appalachian Trail for the thousands of thru-hikers who pass through their town each year. Today, thanks to more than a hundred years of hard work by generations of conservationists, the trail itself is almost entirely protected and permanently open to the public. But in many sections, the actual path is all that’s been conserved: the land alongside it remains vulnerable. 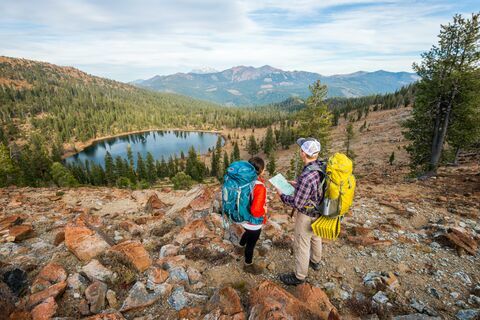 Do you love the Appalachian Trail? You can help. We have just a few weeks to close a funding gap to protect Corbin Hill. Donate today. UPDATE, AUGUST 1: We did it! Thanks to supporters like you, Corbin Hill is protected forever. Thank you for sharing these wonderful places and their stories.